To establish the Wisconsin Institute of Urology (WIU) as the destination for urology care and treatment that improves the individual, family, and collective health of the community by offering a personalized, welcoming, and compassionate patient experience. Key project drivers included the integration of two existing sites, streamlining operations to establish a new model and create efficiencies, reducing costs, enhancing patient experience, and adding value. The Wisconsin Institute of Urology is the largest independent urology group in Wisconsin. Their team consists of nine superbly qualified, highly skilled, board-certified urologists, as well as mid-level providers, with more than 130 years of combined experience helping tens of thousands of patients. Designed with patient-centered care in mind, WIU opened a new clinic in July. The WIU clinic houses laboratory and X-ray facilities to allow for a more convenient and efficient experience for patients, family members, and caregivers. The most unique aspect of the new building is the Wisconsin Institute of Surgical Excellence. This urology-specific ambulatory surgery center is the only one of its kind in the state of Wisconsin. 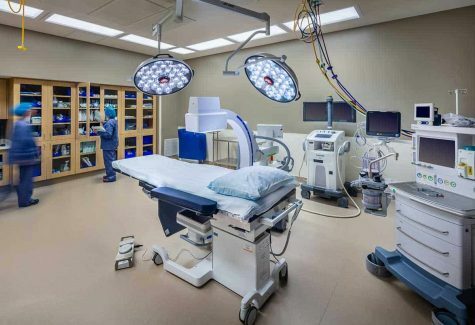 The center is ideal for many common urologic procedures that previously could only be performed in a costlier hospital outpatient department. Personalized care is provided by board-certified anesthesiologists, licensed nurses, and technologists dedicated to exceptional service and outcomes. Our team was challenged to design and construct Wisconsin’s premier, industry-leading surgical experience that focused on personalized care for every patient. In the preconstruction phase, our team was challenged to create a personalized experience for WIU patients, as well as to design for future state. To accomplish this, all 92 WIU employees were asked to participate in innovation teams to create best-in-class concepts that addressed the needs, priorities, and preferences of patients and their families. The innovation teams focused on five key areas: branding/wayfinding, welcome/reception, clinical operations, ambulatory surgery center, and administration/support. The various innovation teams focused on capturing and understanding staff and patient experiences, not simply their view of the process. They deliberately drew out the personal feelings that staff and/or patients have at crucial points during their experiences with WIU. Steve Tyink leads Miron’s experience-based design efforts, assists with process and lean improvement, and adds elements of innovation to business development and corporate strategies to differentiate the Miron brand. 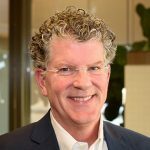 Steve also applies his expertise to serve as a resource to those seeking ways to create innovative facilities that encourage an emotional attachment for their own customers and employees.